WINNING WAYS - How to clear CA exams? CAclubindia Online Learning offers a wide variety of online classes and video lectures for various professional courses such as CA, CS, CWA, CISA, DISA, CFA, CFP, ACCA, CIMA as well as various certification courses on areas like GST, Transfer Pricing, International Taxation, Excel, Tally, Financial Modeling, Ind AS and more. 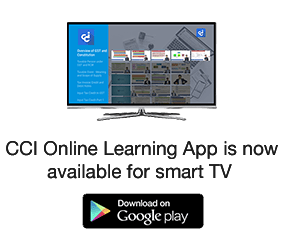 Here, you can enroll for the latest and updated CA Final video lectures, CA IPCC video lectures and learn Financial Reporting, SFM, Auditing, Cost and FM, Advanced Management Accounting, Direct and Indirect Taxation, EIS, GFRS, Capital Markets, Corporate Law easily on any device. CCI Online Learning has helped more than 50,000 ICAI students to study for CA exams anytime, anywhere at their convenience. We provide various options which benefit students to view their classes online or download offline or watch through pen drive at home as per their convenience along with free E-books, Study Notes and physical books for the respective subjects. Students can easily ask their queries from the best faculties over a call or an email. 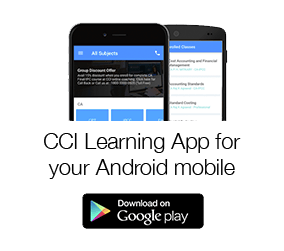 You can also download CAclubindia Online learning App to watch video classes on your android mobile phone and tablet and save them offline. With CCI online classes students will save time and cost and will be able to self-study at home.